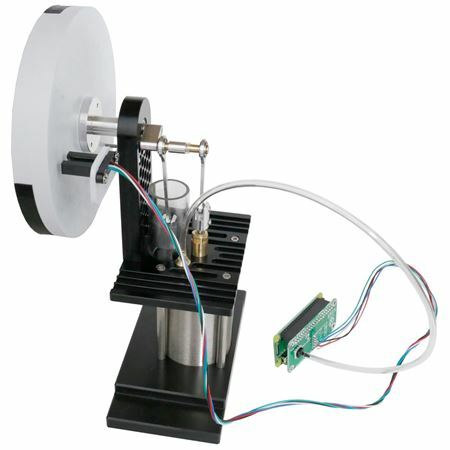 For a number of years we have been asked to produce a Stirling engine with sensors for the educational market. We decided to convert one of our Vulcan stove fans for this purpose. The Vulcan stove is robust and highly tested. It is one of the more powerful engines we produce. We removed the fan blades from the Vulcan and added a flywheel. 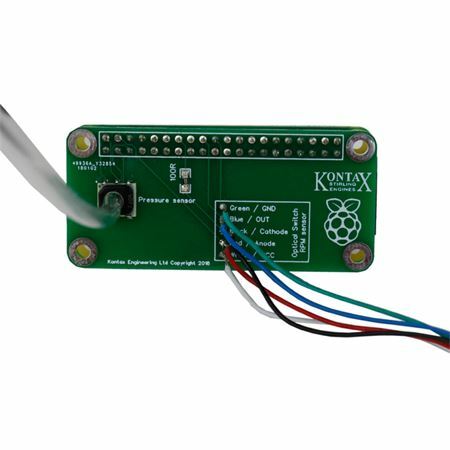 A sensor bracket was added to measure the RPM. A hole was drill into the top plate so the pressure reading could be taken. The normal Vulcan stove fan runs on top of a stove. However we suspect most people using this sensored Stirling engine to use it on an electric hotplate. The temperature needs to be a minimum of 150C and ideally 200C. The unit can handle much higher temperatures (500C~). Cheap hot plates can be found on ebay and amazon for around £15. Almost all have a thermostat but the temperature may not be precise (will vary by tens of degrees C). 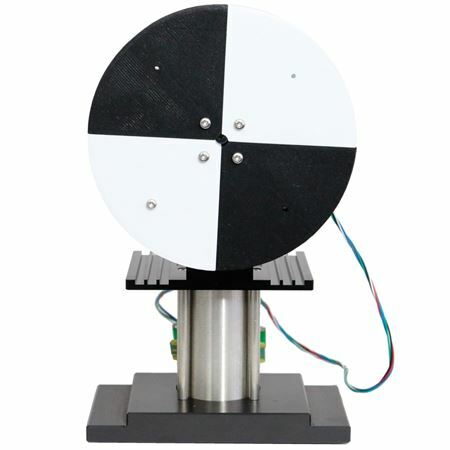 If you need precision and repeatability in your testing I suggest a digital scientific hot plate. With these you can dial in a selected temperature and the plate will maintain this temperature to within about 5C. Most science departments in school/colleges/unis will already have one of these.